It’s $95,000, at least, for the one recently spotted by security researchers. 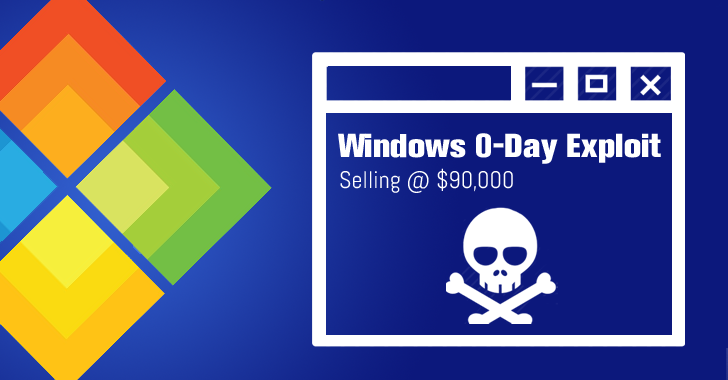 Researchers from Trustwave’s SpiderLabs team have uncovered a zero-day exploit on Russian underground malware forum exploit.in, affecting all versions of Microsoft Windows OS from Windows 2000 all the way up to a fully patched version of Windows 10. The zero-day vulnerability in question claims to be a Local Privilege Escalation (LPE) bug in Windows that offers admin access to run malicious code on a victim’s PC and is less dangerous than Remote Code Execution flaws that allow attackers to compromise systems remotely. "The exploit successfully escapes from ILL/appcontainer (LOW), bypassing (more precisely: doesn’t get affected at all [by]) all existing protection mechanisms such as ASLR, DEP, SMEP, etc. [The zero-day exploit] relies solely on the KERNEL32 and USER32 libraries [DLLs]."